Ahmadabad has become India’s First World Heritage City after the UNESCO World Heritage Committee included it in its list on July 8, 2017, 41st session of UNESCO’s World Heritage Committee meet in Krakow in Poland. It is former capital of Gujarat. Ahmadabad was one of the three cities along with National Capital Delhi and Mumbai which was shortlisted for the title from India. Ahmadabad was also listed in Forbes list as the Worlds 3rd Fastest Growing cites in year 2010. There are around 36 structures protected by the Archaeological Survey of India. History of over more than 600 years, sustainable development and preserving its ancient heritage make its way to World Heritage List. Ahmadabad nomination was supported by over 20 countries including Turkey, Lebanon, Tunisia, Portugal, Peru, Kazakhstan, Vietnam, Finland, Cuba, Angolan, Croatia, South Korea, Tanzania, Zimbabwe, Jamaica, Azerbaijan and even the host country Poland. 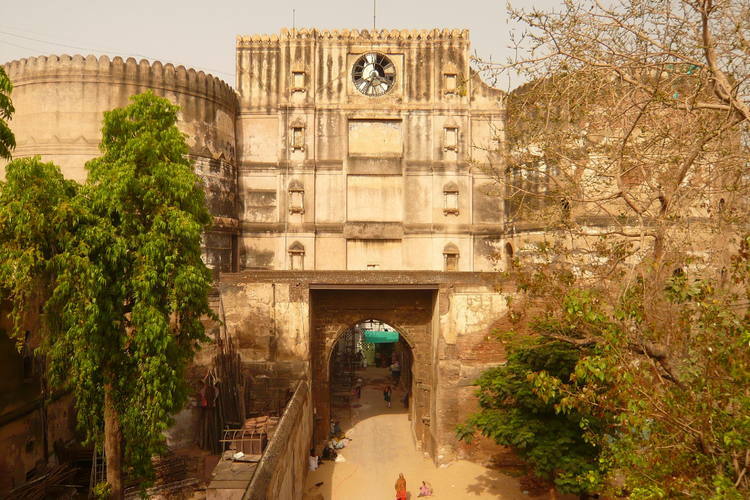 “The walled city of Ahmadabad, founded by Sultan Ahmad Shah in the 15th century, on the eastern bank of the Sabarmati River, presents a rich architectural heritage from the sultanate period, notably the Bhadra citadel, the walls and gates of the Fort city and numerous mosques and tombs as well as important Hindu and Jain temples of later periods. The urban fabric is made up of densely-packed traditional houses (pols) in gated traditional streets (puras) with characteristic features such as bird feeders, public wells and religious institutions. The city continued to flourish as the capital of the State of Gujarat for six centuries, up to the present.” – UNESCO (United Nations Educational, Scientific and Cultural Organization. This is the place where Mahatma Gandhi started India’s non violent freedom struggle. Diversified culture and people of all communities adding there effort to make this city beautiful and setting example for rest. Sabarmati Riverfront and Sabarmati Riverfront event ground. Sabarmati Ashram – Spritual site in Gandhi’s former home. Sidi Saiyyed Mosque – Famed 1573 mosque with intricate carving. Jama Masjid –Landmark Mosque built by Sultan in 1424. Maybe one day I’ll be able to visit India. I love this country not only because its rich cultural thesaurus and natural beauty but also for its people, some of them my wonderful friends. I love India for them, because she brought them to life and nurtured them to become the valuable people I love and admire. Yes, India is a diversified Nation with friendly nature people. You are most welcome to India. Good day, take care. I’d love to visit India as well, for all of the reasons you mentioned. I’d also like to spend as much time as I can learning about India’s extraordinary wildlife, and how the Indian people relate to these fascinating creatures. Don’t forget the step wells! Ahmadabad has beautiful step wells to explore that are well worth some time. Yes Ahmadabad is having lots of wells which are venue of colorful festivals. Thanks for visiting my blog. Keep in touch. Take care. Thanks for visiting my blog and appreciating it. Keep in touch. Good day. Just visited the Calico museum, and the Akshardham. Hi, thanks for your comment. Keep in touch and good day. Thanks a lot and good day to you. Great post on Ahmedabad ! Thanks for sharing !! Thanks for thhe content. I found this easy to read. I look forward to your next post. Oh thats great that you belongs to Ahmadabad. Thanks for your comment. Good day and keep in touch. issue with your information. Thank you I will share on Twitter.